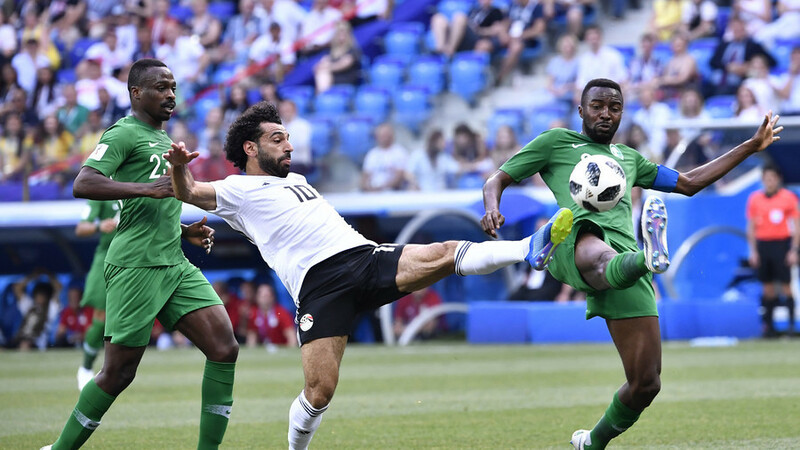 Mohamed Salah signed off from Russia with a goal but saw his Egypt team suffer a late defeat as Saudi Arabia snatched a 2-1 win in an entertaining game in Volgograd. Going into their final Group A encounter the teams knew their World Cup chances were over, having both lost their opening two games. However, the dead rubber status of the game did not stop the teams from playing out an entertaining encounter punctuated with incident. Salah had been the subject of speculation he would quit the World Cup early over apparent unhappiness in the Egypt camp, but made light of the claims by racing onto a long ball in the 22nd minute and lobbing past Saudi goalkeeper Yasser Al-Mosailem for his second goal at Russia 2018.
old was setting the record for the oldest player ever to appear at a World Cup finals. He celebrated the feat by producing a wonderful penalty save from Fahad Al Mulwallad just before half-time, diving to his right to push the ball onto the bar. However, the Saudis were level just moments later when they were awarded a second spot-kick, after Ali Gabrin was adjudged to have pushed Al Mulwallad in the box. This time Al Faraj stepped up to take the kick and duly slotted home six minutes into first-half injury time. The two teams continued to play out an end-to-end game in the second half, with El Hadary’s athleticism continuing to belie his years as he made some impressive stops. Just as the game seemed destined to end honors even, Saudi striker Salem Al Dawsari popped up with the last kick of the game to fire a low finish into the net, sending the Saudi bench into raptures. It was the Saudis’ first World Cup win since 1994, having gone 12 games without a win at the tournament. For Egypt and Salah it meant a first World Cup campaign in 28 years ended without a single point.